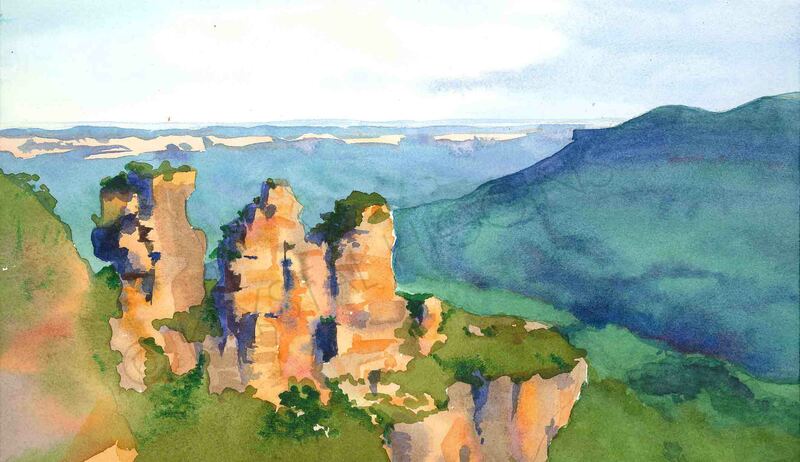 This is a painting of the scene from an overlook in the Blue Mountains outside Sydney, Australia. The rock formations in the foreground are called the Three Sisters. Painted with high quality Winsor and Newton watercolour paints on 140lb acid-free coldpress paper.